Eventually I came up against Middlesex and actually played fairly well.....until I got to 90......I have to say I was not someone who normally suffered from the nervous 90s but this wasn't a normal situation, my vanity was at stake! I took about an hour to get from 90 to 100 and when I finally did my celebrations were reminiscent of Michael Slater's when he scored his memorable hundred at Lords! I wasn't usually a big celebrator but I have to say that I hammed it up that day! So what of Nadeem? Well poor guy, he kept his til June and I even had phone calls from his wife begging me to call the bet off, she reckons he was getting funny looks walking down the street and it was affecting his confidence....Unfortunately a bet is a bet and you always pay up, so unfortunately for Nadeem his moustache was right up there with Magnum PI and David Boons by the time he eventually got to shave it off! Well I have been at it again and have taken on the bet of getting down to 90kgs. I started at 106kgs and got down to 99kgs for my fight. So basically I have got to lose the lions share of 10kg in 2 weeks! Who are my betting pals? Well Stephen Ng the owner of Matrix Boxing Gym in Southport (on the Gold Coast) is also my trainer and the Southport's equivalent of myself when it comes to making ridiculous bets! Well he has picked on myself and Jason Roebig the owner of Axis Gym (which shares the same building as Matrix) Jason is a Brazilian Jiu Jitsu master and is a student of Rickson Gracie arguably the greatest exponent of the art of all time. Stephen has set the weights, Stephen and Jason have to get down to 77kgs, which is a tough ask as they are both solid guys who walk around in the mid eighty's. My goal is also tough and as we speak I can see that they think I am not going to make the weight......I told them tonight, you don't know me yet, I will never give up...But I have to admit to being slightly concerned by having to drop this weight. Why am I so concerned, well when you hear the forfeit you will understand why! Anyone who doesn't make their weight has to shave an eyebrow off! Wow that is bad! I have had both my eyebrows all my life and can't imagine what it would be like to only have 1! The ribbing and mind games have started! 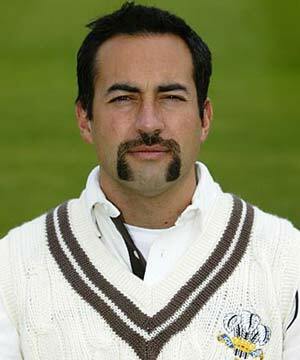 I just need to find the old Adam Hollioake and get training hard!